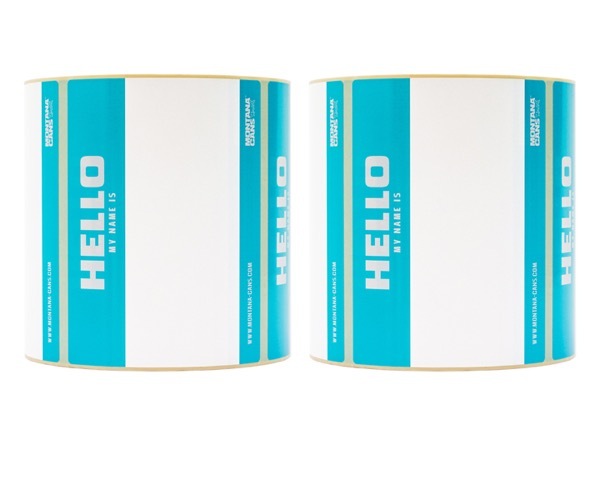 The classic "hello my name is …" sticker, made from coated label paper. The roll of 500 is perforated every four stickers. Each sticker measures 12cm × 9cm.